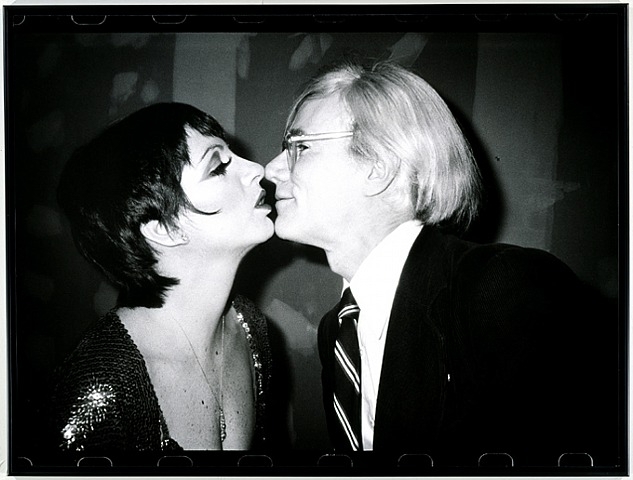 Andy Warhol’s Kiss is probably the artist’s earliest film work that was screened in public. Harkening back to the time when Hayes Office censors would not allow lips to touch and linger for more than three seconds in Hollywood films, with Kiss, Warhol decided to shoot male/female, female/female and male/male snogs that went on for three minutes. The concept was likely also influenced by a 1929 Greta Garbo film called The Kiss which apparently was screened at Amos Vogel’s influential Cinema 16 experimental film society right around the time that Warhol bought his first Bolex film camera. 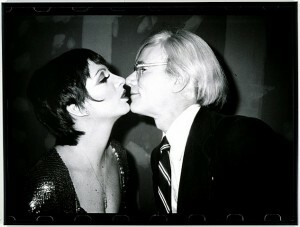 Liza Minnelli & Andy Warhol – obviously not from Kiss, 1963, but I couldn’t resist including this!